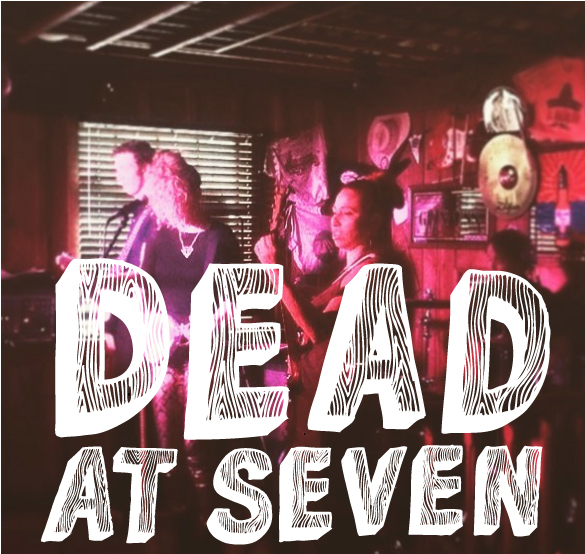 Dead At Seven is an indie band from Livingston, Montana. Their music features Carolina Kehoe on ukulele and vocals, and Baylor Carter on the drums. Now better known as The Sleepless Elite. Hand lettering to be used over band photos on social media, and for promotions.